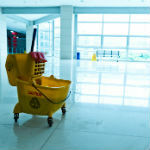 A & T Janitorial is the areas first choice provider of Houston office cleaning services. We have built a stellar reputation grounded on the delivery of prompt, affordable and reliable office cleaning services. Being among the top providers of janitorial services in Houston, we have the skills, resources and versatility to offer all types of cleaning services and to all kinds of offices present in the Missouri City and the neighboring regions. Call A&T Janitorial for a free estimate today (713) 653-3784. 100% Satisfaction guaranteed – We are so confident in our office cleaning services that we offer you a 100% satisfaction guarantee. As a result, we will refund your money in the unlikely event that you are not completely satisfied with our service. Our staff works hard to earn your trust, and we will also work hard to keep it. No contracts – Our ability to retain our customers is based on the superiority of our services. Therefore, we don’t tie you up with contracts which force you to work with us. We believe that you will want us to work with you because you like our services, but if you don’t, you are at liberty to always end our engagement. Available 24/7 – You are free to call for our services at any time of the day or the night. Our company only works with permanent employees – It will excite you to know that our employees are all working on a permanent basis, and they are motivated professionals with a profound dedication to offering you with superior janitorial cleaning services for your offices. We are fully insured and certified – are you worried of your office items and equipment getting damaged due to office cleaning services? No need to worry about such when you let A & T Houston Janitorial Service take care of your office cleaning needs. In addition to being extremely careful to limit any damages, we are fully insured and certified hence you will never suffer any losses should something go wrong when we are on-site. General office cleaning – this is aimed at ensuring that the general office space stays clean and ready for use by your employees each morning. Includes cleaning the floors, dusting the chairs and desks, cleaning the air, and making the whole are look neat and welcoming. Hard Surface Floor maintenance – Irrespective of your office floor material, we can clean and polish them and make them sparkling clean to enhance the beauty and the aesthetics of your office. We are experts at cleaning and polishing wooden, tiled, natural stone and slab floors. Window Cleaning – We are one of the most window cleaning companies in Missouri City TX, and you can now take advantage of our window cleaning services to have the cleanest windows on the block. Carpet Care – We employ the use of proprietary carpet cleaning system which allows for faster cleaning and drying of your carpets. We will flush out dirt, chemicals and pollutants to leave your carpets fresh and intact. Contact us today if you need any of our Houston office cleaning services. We look forward to offering you with the best office cleaning services in Texas.